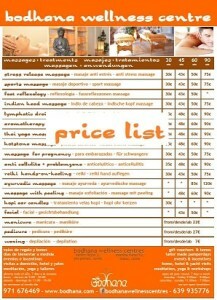 enjoy an amazing massage together with your beloved or friend, both at the same time. allow yourselves to be pampered during one hour in a cosy and relaxing space. choose the type of massage which you feel drawn to most. these are offers especially for the followers of our website, when you come to our centre please mention that you have seen this here. we don’t give the above discounts automatically ;-)).